Pianos invaded Boston this week. Its amazing. They're everywhere. Each piano is different - each its own piece of art. 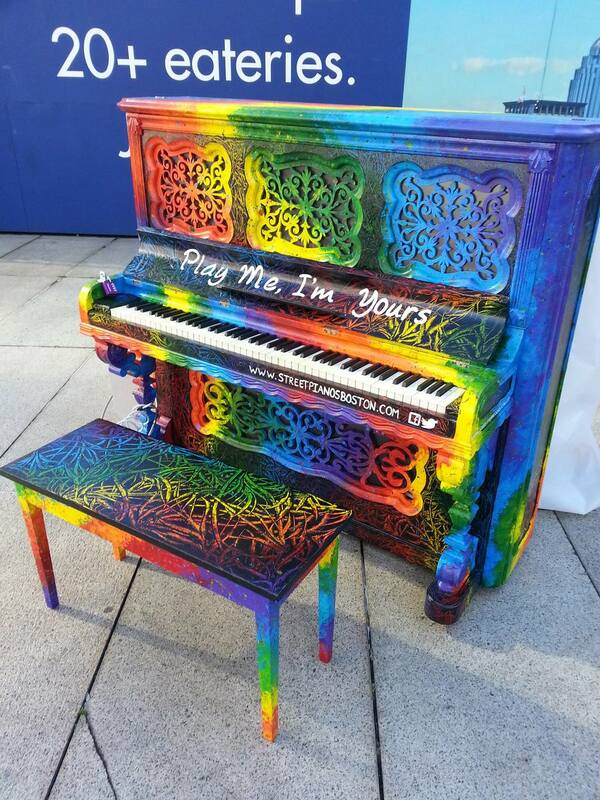 Written on the pianos are the words "Play Me, I'm Yours." Each piano is a little blessing sitting there waiting to be explored. Even though the blessing this week was geared towards people struggling with illness, I found that O'Donahue's beautiful words were far more universal. I don't really have much to say about it except that I found the words comforting, helpful reminders. I decided this week that I'd revisit last week's unfinished art piece - it seemed applicable. Also, I felt like I needed to close the circle, ya know? "When the reverberations of shock subside in you, may grace come to restore you to balance. May it shape a new space in your heart to embrace this illness as a teacher who has come to open your life to new worlds."